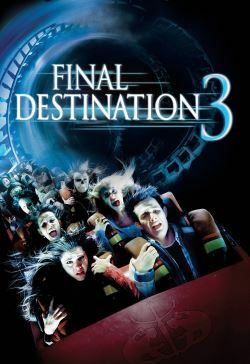 Strap yourself in for Final Destination 3, the most terrifying thrill ride ever! After Wendy (Mary Elizabeth Winstead) and her friends survive a deadly roller coaster ride, they start being killed in even more gruesome ways. Wendy realises that the nightmare isn’t over. Death has returned to finish the job. But can she convince the rest of her friends before it’s too late?